Root canal treatment is needed when the blood or nerve supply of the tooth (called the ‘pulp’) is infected through decay or injury. You may not feel any pain in the early stages of the infection. In some cases, your tooth could darken in colour, which may mean that the nerve of the tooth has died (or is dying). This would need root canal treatment. 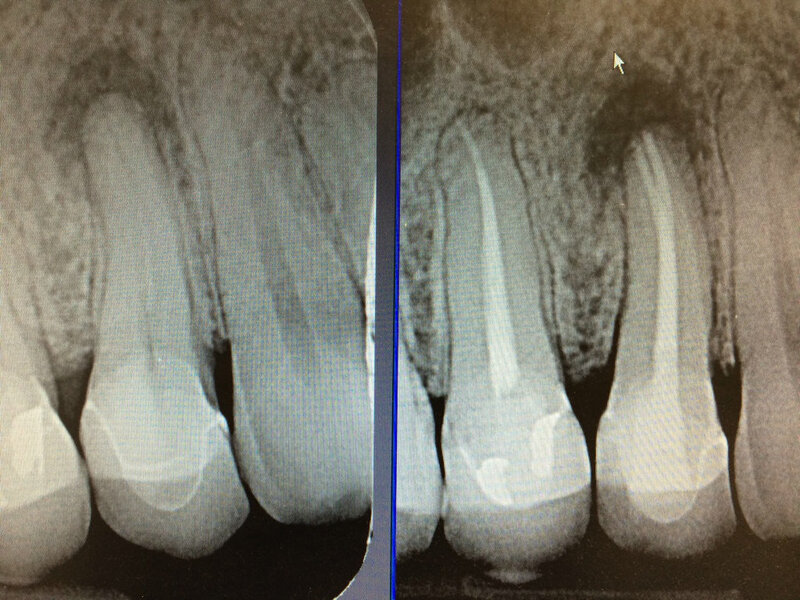 Good demonstration of root canal surgery allowing nature a chance to heal. At Gardens Dental Centre, we use the latest and best on the market ultrasonic equipment for our work. 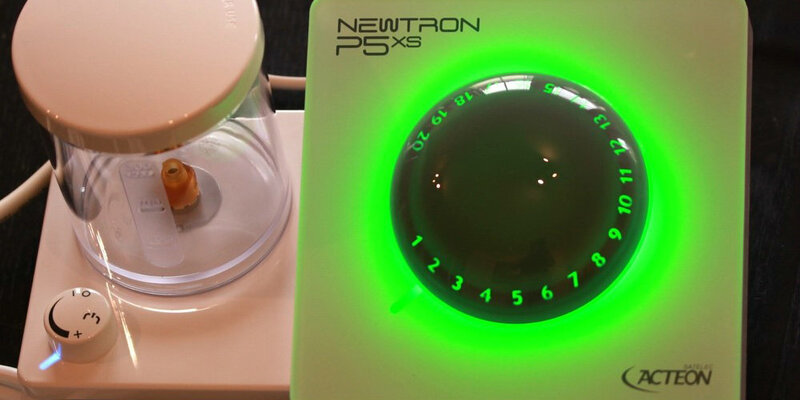 With specifically designed ultrasonic tips to remove broken instruments and files from deep within teeth, the P5 Newtron XS unit is the most modern in ultrasonic technology. The unit has a separate reservoir and graduated adjustment controls allowing clinicians to gently work within teeth; this unit protects the structures that support the teeth and allow for tissue cooling whilst working. 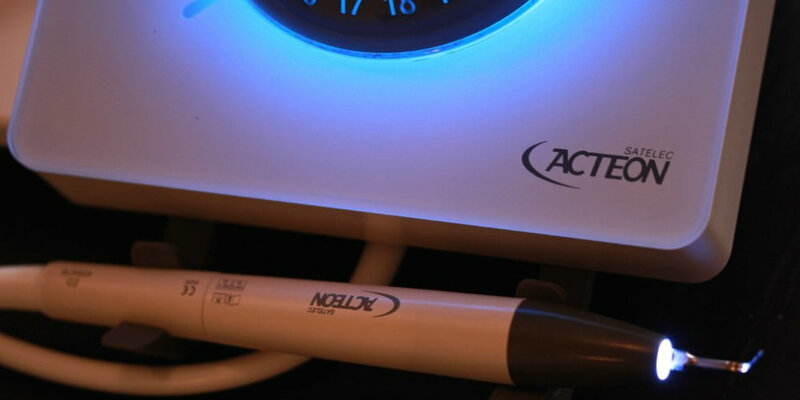 Its new ergonomic design and soothing lights give a visual guide to what settings are being used and its completely watertight system ensures that cross infection risks are kept to a minimum.